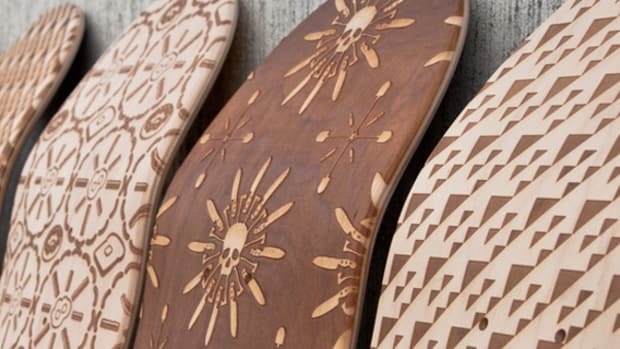 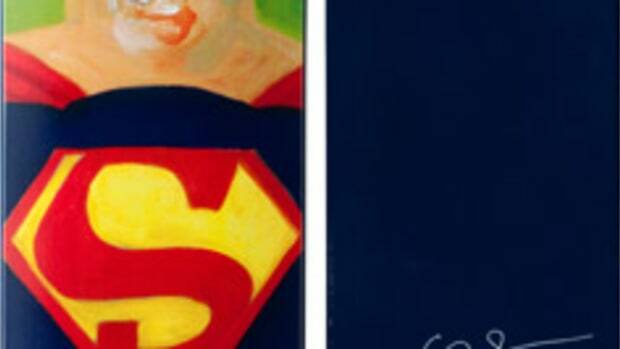 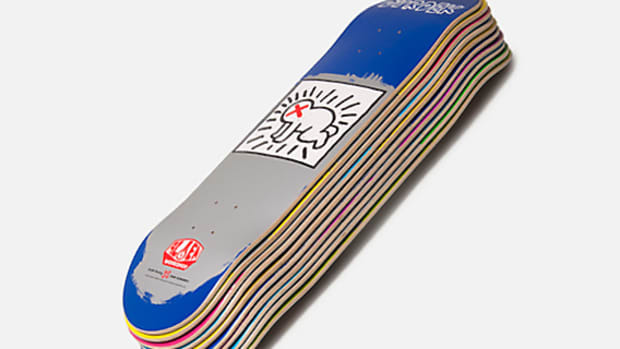 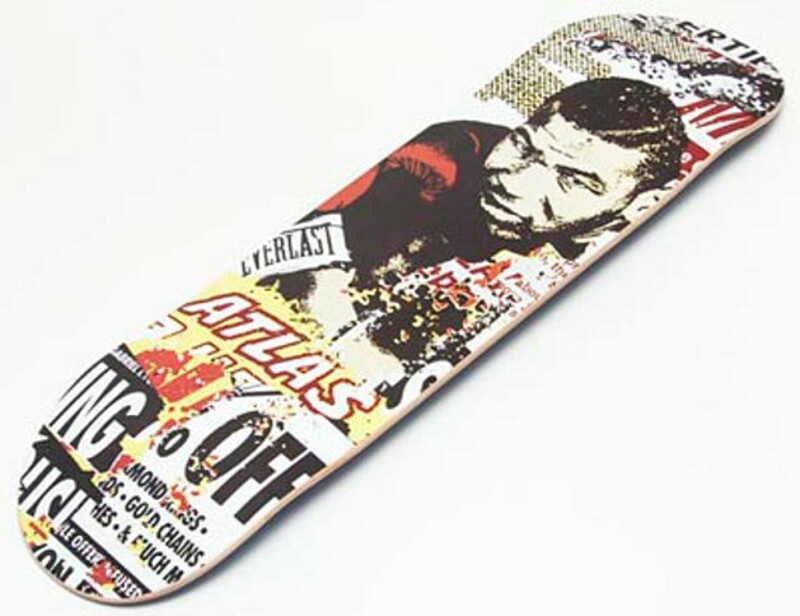 Minneapolis native Greg Gossel has teamed up with Atlas in San Mateo, CA, on two limited edition decks. 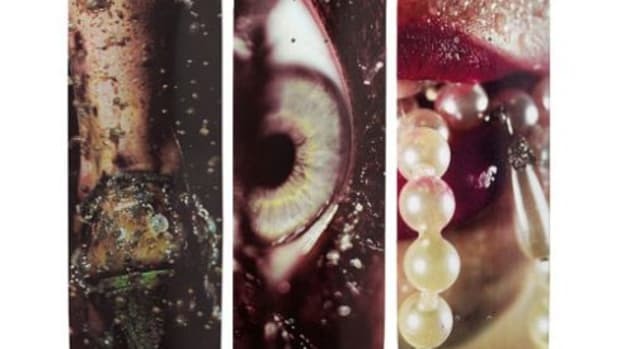 Working extensively with mixed media, Gossel uses imagery from 20th century pop culture to create works that feature a raw, pulp sensibility. 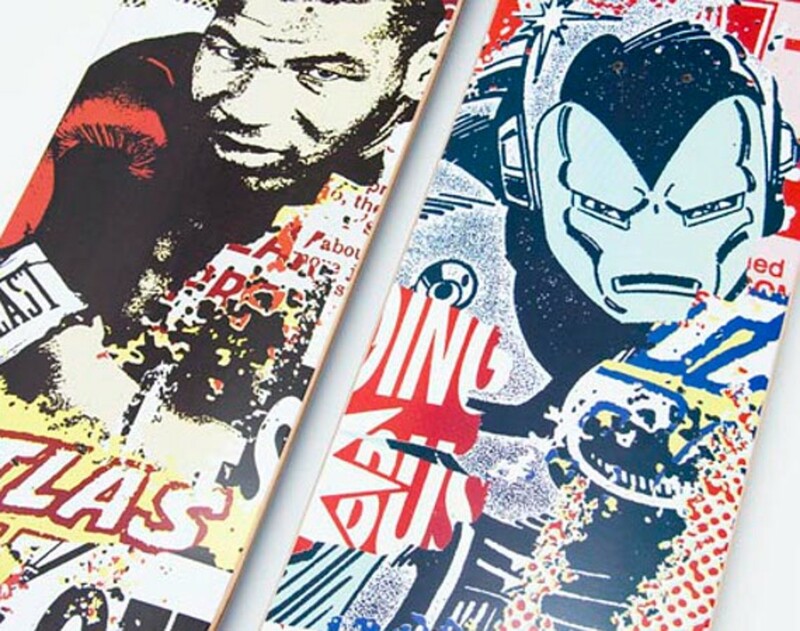 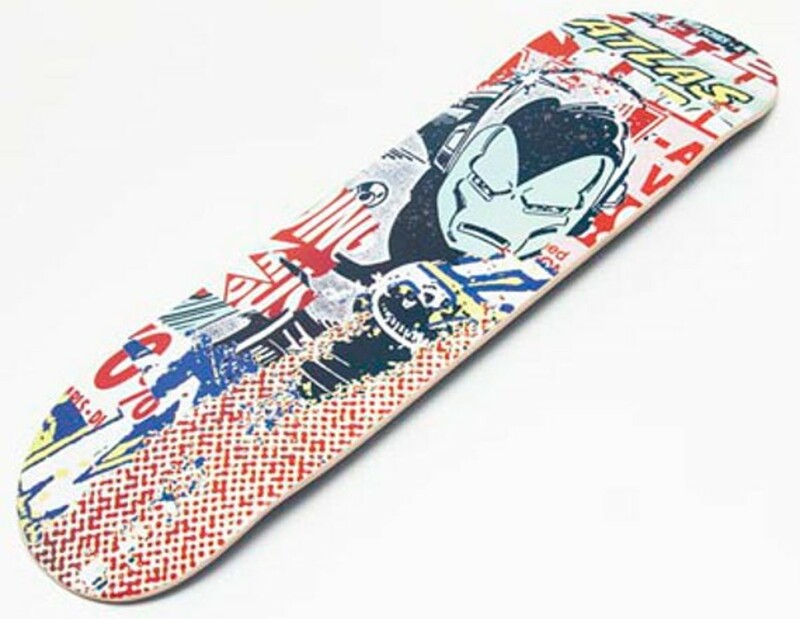 His decks for Atlas feature two larger than life characters, Iron Mike Tyson and Iron Man, illustrated with benday dots and featuring the bold typography and washed out colors that recall vintage comic strips. 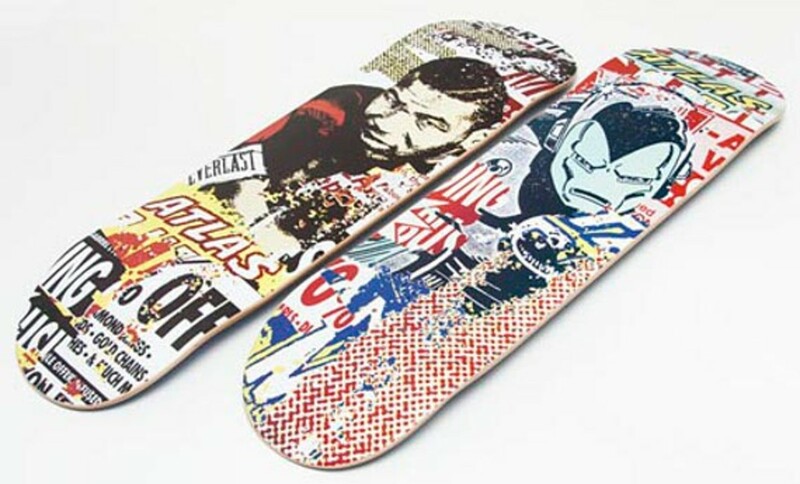 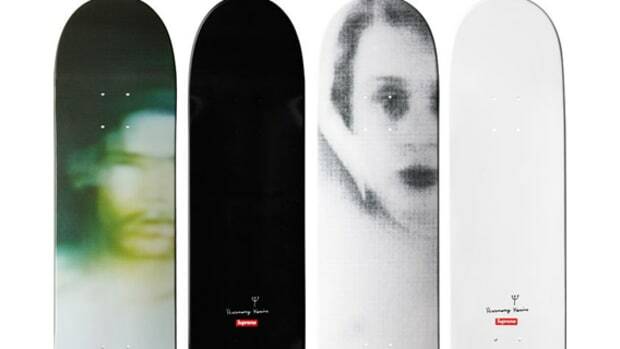 Both decks are available now at Atlas.